Guarantee Policy: A deposit covering room and tax for the full stay is required at the time of booking to guarantee the room. 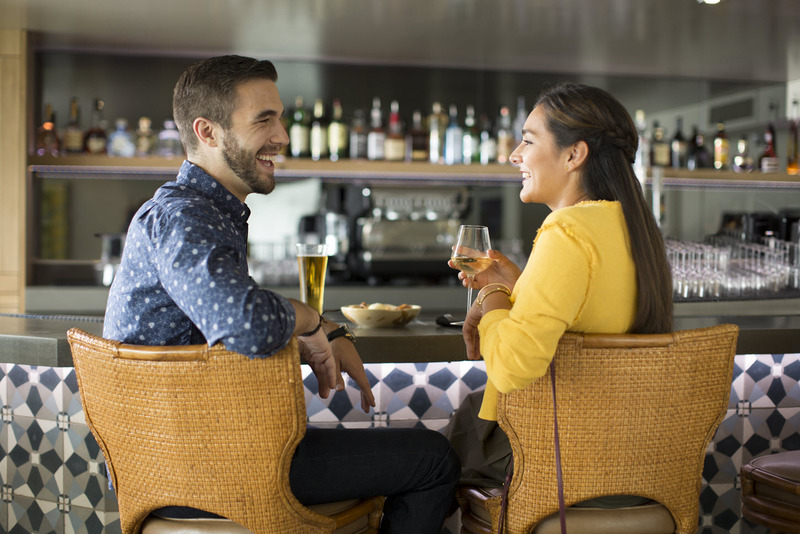 Special event periods may require an actual deposit depending on the time of booking and will be stated during the booking process. General Policy: 24-Hour Front Desk Check-in Time: 4pm Check-out Time: 11am Early Departure Charge - is 1-night room and tax Guests must be at least 18 years of age to rent a room Rollaway beds are available for a nightly charge of $20 Cribs are available at no charge, subject to availability Credit card holder must be present at time of check-in Pets 50 lbs. or less are welcome for a fee of $50.00 per day, with a maximum fee of $100.00 per stay. Please inquire about our Pet Package offered. Resort Fee cost is $30 plus tax includes parking, Wi-Fi and in-room coffee, two bottles of water daily, fitness center, heated pool and hot tub. Pet Policy: Pets 50 lbs. or less are welcome for a fee of $50.00 for one pet, $75 for two pets per stay. Please inquire about our Pet Package offered. This is a perfect accommodation for a young family of four or friends who want to stay in the same room. 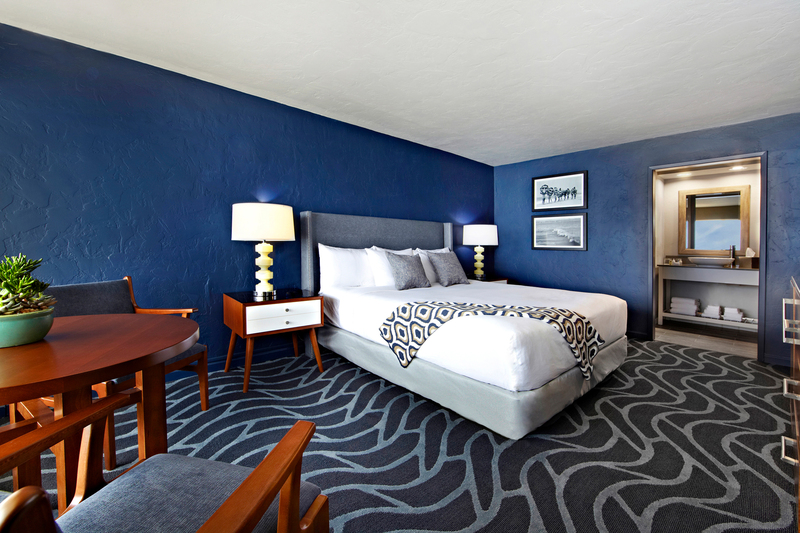 It is furnished with two queen beds which means a restful night’s sleep for all in this room. Facing eastward with inland views of the surrounding neighborhood, this well-appointed room offers window side seating for two. It is a comfortable 350 square foot (33 square meter) retreat. The large window allows natural light to filter into the room enhancing the beach influenced color scheme of the decor. Rooms are accessed via an exterior-corridor door. Modern features and comforts include: a 42-inch HD TV, refrigerator, wall mount air conditioning and heating, Beekman Dispensary bath amenities, platform beds, in-room safe, iron/iron board and coffee maker. This Accessible room features a roll-in shower, mobility access, lowered clothing rod in the closet, wheel-chair accessible peep hole in the door, telephone notification device, flashing fire alarms and sirens. Facing eastward with inland views of the surrounding neighborhood, this well-appointed queen bed room offers window side seating for two. It is a comfortable 350 square foot (33 square meter) retreat. The large window allows natural light to filter into the room enhancing the beach influenced color scheme of the decor. Rooms are accessed via an exterior-corridor door. Modern features and comforts include: a 42-inch HD TV, refrigerator, wall mount air conditioning and heating, Beekman Dispensary bath amenities, platform beds, in-room safe, iron/iron board and coffee maker. This Accessible room features a shower/tub combination, mobility access, lowered clothing rod in the closet, wheel-chair accessible peep hole in the door, telephone notification device, flashing fire alarms and sirens. Facing eastward with inland views of the surrounding neighborhood, this well-appointed queen bed room offers window side seating for two. It is a comfortable 350 square foot (33 square meter) retreat. The large window allows natural light to filter into the room enhancing the beach influenced color scheme of the decor. Rooms are accessed via an exterior-corridor door. Modern features and comforts include: a 42-inch HD TV, refrigerator, wall mount air conditioning and heating, Beekman Dispensary bath amenities, platform beds, in-room safe, iron/iron board and coffee maker. Enjoy partial ocean and beach views from this first-floor room facing westward towards Monterey Bay. It is furnished with a king bed and window side seating for two. It is a comfortable 350 square foot (33 square meter) retreat. The large window allows natural light to filter into the room enhancing the beach influenced color scheme of the decor. Rooms are accessed via an exterior-corridor door. Modern features and comforts include: a 42-inch HD TV, refrigerator, wall mount air conditioning and heating, Beekman Dispensary bath amenities, platform beds, in-room safe, iron/iron board and coffee maker. This is the perfect accommodation for a young family of four or friends who want to stay in the same room. 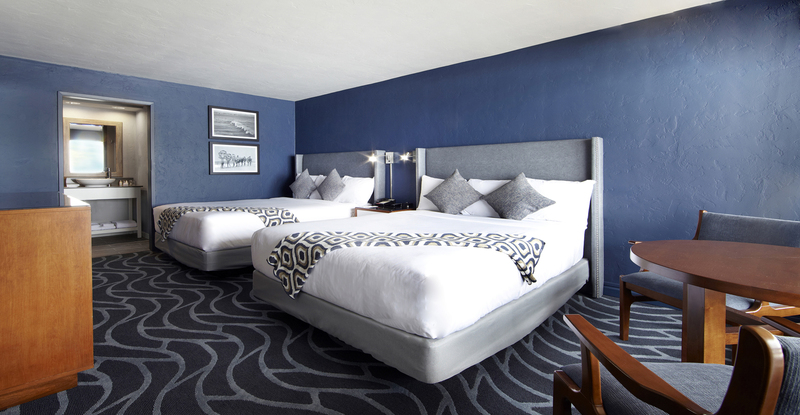 It is furnished with two queen beds which means a restful night’s sleep for all. Enjoy partial ocean and beach views from this first floor westward facing room. It is a comfortable 350 square foot (33 square meter) retreat with window side seating for two. The large window allows natural light to filter into the room enhancing the beach influenced color scheme of the decor. Rooms are accessed via an exterior-corridor door. Modern features and comforts include: a 42-inch HD TV, refrigerator, wall mount air conditioning and heating, Beekman Dispensary bath amenities, platform beds, in-room safe, iron/iron board and coffee maker. Delight in the ocean views from this room located on the second and third floors. Watch the sun set over Monterey Bay from this westward facing room. It is a comfortable 350 square foot (33 square meter) retreat furnished with a king bed and window side seating for two. The large window allows natural light to filter into the room enhancing the beach influenced color scheme of the decor. Rooms are accessed via an exterior-corridor door. Modern features and comforts include: a 42-inch HD TV, refrigerator, wall mount air conditioning and heating, Beekman Dispensary bath amenities, platform beds, in-room safe, iron/iron board and coffee maker. Delight in the ocean views from this room located on the second and third floors. This is the perfect accommodation for a young family of four or friends who want to stay in the same room. 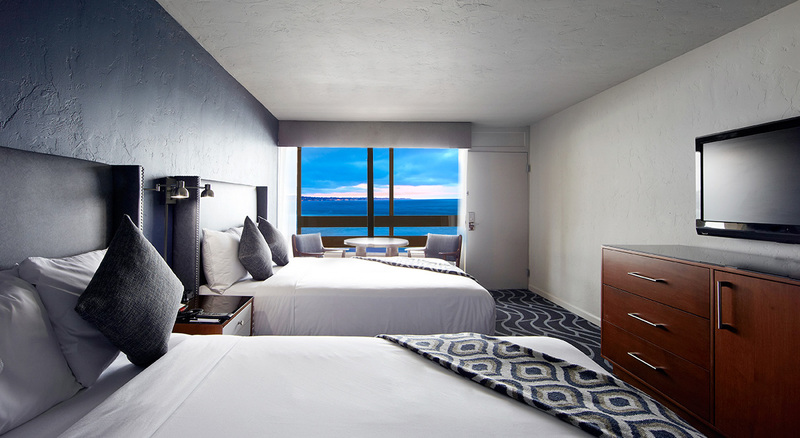 Watch the sun set over Monterey Bay from this westward facing room. It is furnished with two queen beds and window side seating for two. It is a comfortable 350 square foot (33 square meter) retreat. The large window allows natural light to filter into the room enhancing the beach influenced color scheme of the decor. Rooms are accessed via an exterior-corridor door. Modern features and comforts include: a 42-inch HD TV, refrigerator, wall mount air conditioning and heating, Beekman Dispensary bath amenities, platform beds, in-room safe, iron/iron board and coffee maker. This Accessible room features a roll-in shower, mobility access, lowered clothing rod in the closet, wheel-chair accessible peep hole in the door, telephone notification device, flashing fire alarms and sirens. Delight in the ocean views from this room located on the second and third floors. 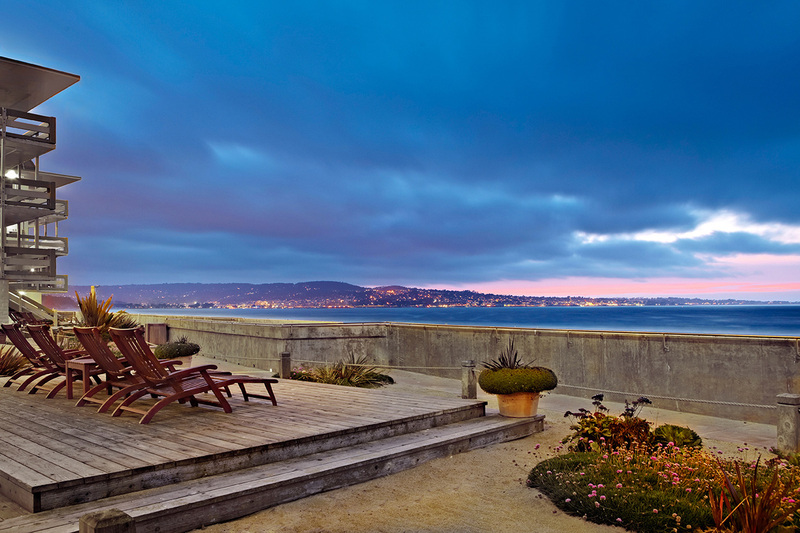 Watch the sun set over Monterey Bay from this westward facing room. It is a comfortable 350 square foot (33 square meter) retreat furnished with a queen bed and window side seating for two. The large window allows natural light to filter into the room enhancing the beach influenced color scheme of the decor. Rooms are accessed via an exterior-corridor door. Modern features and comforts include: a 42-inch HD TV, refrigerator, wall mount air conditioning and heating, Beekman Dispensary bath amenities, platform beds, in-room safe, iron/iron board and coffee maker. 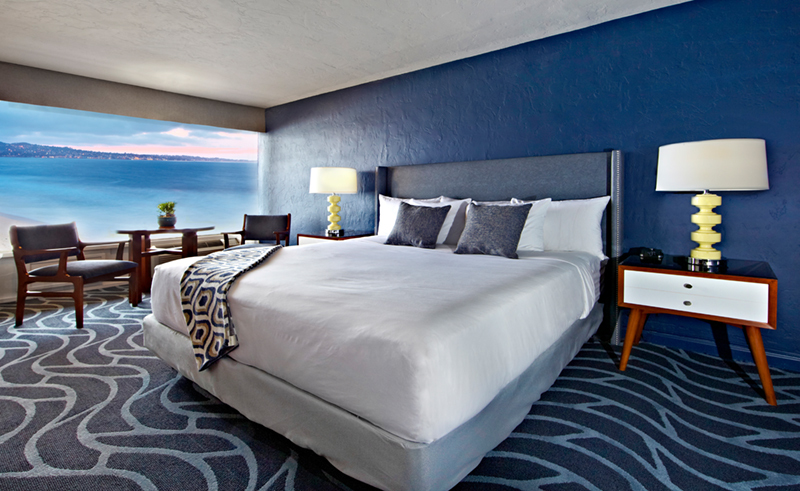 The unobstructed views of Monterey Bay make this our most popular accommodation. Located on the top floor, watch the setting sun over the Bay, the ocean waves coming ashore and gulls soaring overhead in the comfort of your room. It is furnished with a king bed and window side seating for two. It is a comfortable 350 square foot (33 square meter) retreat. The large window allows natural light to filter into the room enhancing the beach influenced color scheme of the decor. Rooms are accessed via an exterior-corridor door. Modern features and comforts include: a 42-inch HD TV, refrigerator, wall mount air conditioning and heating, Beekman Dispensary bath amenities, platform beds, in-room safe, iron/iron board and coffee maker.